Coffee has been and will continue to be one of the most preferred beverages that people across the world have. Making a coffee is a process that is complex and if the process is not carried out perfectly, then there is chance for a great number of criticisms from the people who have the coffee. The most important advantage of an auto drip is that the user can simply switch it on and then completely engage into a different process without bothering about the coffee. But one disadvantage is that the user cannot control the temperature or the water ratio. The first process is to get hold of good quality coffee beans. After all it the beans that finally provide the flavour and quality to the beverage, so if the beans are not of good quality, there is no point in expecting the coffee to be tasty. The first priority must be to get fresh beans. If the beans are not fresh, it is sure to affect the coffee and there is no use in blaming the coffee maker after the process. Another thing to keep in mind is to keep the beans fresh once you buy them. Coffee beans get spoilt very quickly especially if they are in the ground state. So it is always better to store the beans as whole without grounding. While searching for fresh beans in a store always keep an eye out for the roasted date on the package. It is always better to buy the beans from a local roaster, this is because you can also ask him for any recommendations for making the right coffee. The next step is to grind the beans. Denis Lubojanski, an expert coffee brewer (Founder of Get a Coffee Maker blog) says that this process that must be done with precision. All the flavour of a coffee is developed during the process of extraction. This is the process in which the hot water passes through the grounded beans. This process is very important because if the process is too fast then the flavour of the coffee will be very weak and if the speed of the process is very slow and the coffee will end up to be bitter in taste. Both these are undesirable effects. The speed of the extraction depends upon the fineness of the grounded beans. Gold or plastic filters: medium fineness. It is also important to experiment a lot. Only through experimentation can a person find out the right fineness of the grinding of the coffee beans. These days, there are programmable auto- drips, but setting the coffee beans in the auto drip overnight is not a good choice. Coffee comprises mostly of water hence it is very important to use very high quality water for making the coffee. The water to coffee ratio should also be perfect. This ratio can only be perfected over experimentation. Always make sure that you test that the auto- drip heats up to the right temperature. This again can be done with the help of a thermometer and repeated testing. The optimum temperature is about 195-205 degrees. 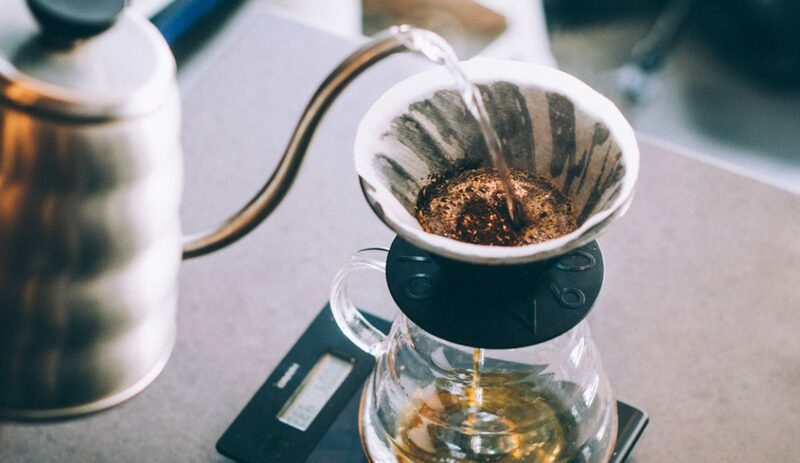 The most important thing when it comes to coffee making and probably any type of cooking is that the cleanliness must be maintained perfectly. Remove the pot from the heating element daily and carefully the pot. The whole system must be cleaned thoroughly once in every month. For getting a brief idea on drip coffee maker and to choose the best please refer to best drip coffee maker at Get a Coffee Maker.